Overview: Own the Holidays! 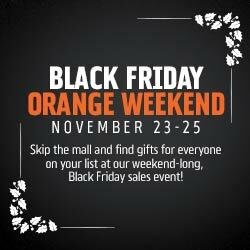 Skip the mall and find gifts for everyone on your list at our weekend-long, Black Friday/Orange Weekend sales event. Find unique gifts and collectibles, and free gift-wrapping on your purchases!